The sequoias are mammoth trees, topping hundreds of feet in height with amazingly large trunks and suitably thick bark. The largest is 275 feet tall and over 2000 years old. What is surprising is their shallow root system – barely a yard deep. These trees have no tap root and rely on a wide spread web of roots. They grow in a stand or grove- the root system of each tree entwined in the system of her sister. So, in fact, each tree helps support the girth and height of another. It is their community that allows them to grow and endure. This is a marvelous picture to me, what is seen: the towering majesty of each tree, and what is unseen: the network of roots and intertwining growth beneath the soil that allows each tree to prosper. 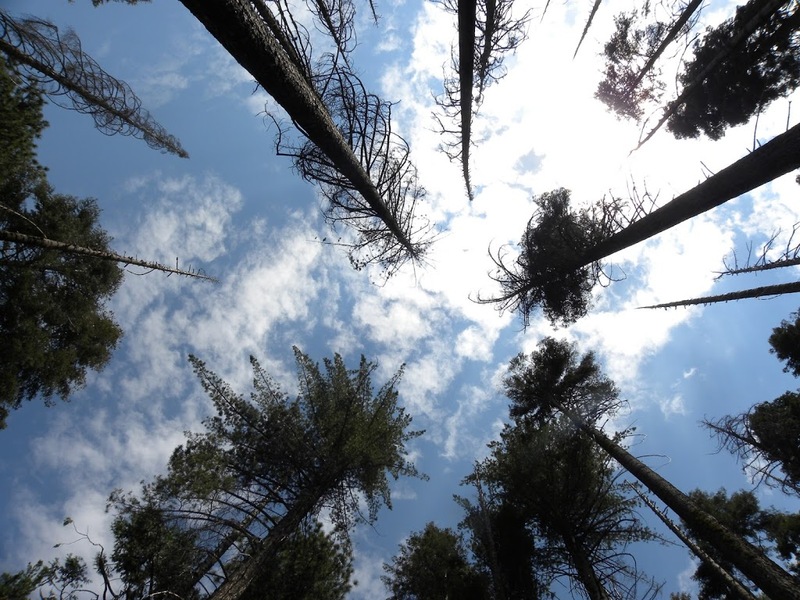 Each tree towering skyward, heaven ward, dependent upon a series of miracles that allow them to feed and grow. In fact – this is how we develop in recovery programs. It is the essence of the First Tradition: “Our common welfare should come first, personal recovery depends upon AA unity.” Yes – with the companionship and strength of others in the program I am able to grow and thrive. The larger trees next to me need me as I need them, and I pass on my strength and burgeoning awareness to the new sprouts in the stand that are beginning to grow. 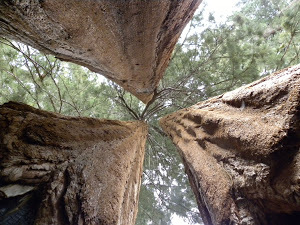 Now when I see these trees in Yosemite or see photos of them – I remember that what I am seeing is the visible majesty and I must also recall the amazing cooperative system that mother nature bestowed upon these trees so that their amazing height would be possible: one another.